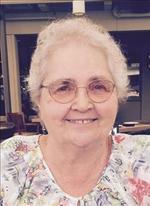 Beverly June (Hanson) Dale left this world January 15, 2019 at age 82. She was a long time resident of Stillwater, OK. A place she gladly called home. 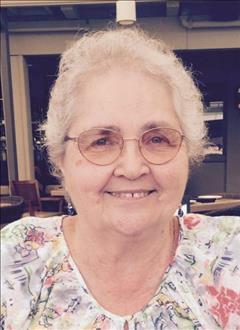 A mass in her honor will be held at 11:00 am on Saturday, January 19, 2019 at the St. Francis Xavier Catholic Church. Reception will follow at the church. Strode Funeral Home and Cremation is in charge of the arrangements. Beverly was born in California January 30, 1936. She raised 7 children, then graduated from New Mexico State University with honors. 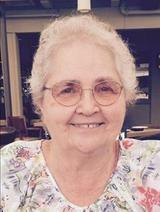 Beverly worked as a computer and accounting specialist at Oklahoma State University, from 1986 until her retirement in 1998. During her time at OSU, she and her husband, E. Howard Dale, sponsored many international students. Most became her “children” and she stayed in touch with many of them until her death. During her retirement Beverly enjoyed the company of friends, visited her children and family, and traveled to places she had always dreamed of seeing. She volunteered at Judith Karman Hospice and was involved with book clubs, cross-stitching, bridge groups and her church. Beverly was predeceased by her parents; three siblings, Buddy, Bernice, and Skipper; husband, Howard, one son, Kenny and one grandson Keith. She is survived by three siblings, Antoinette, Michael, and Pati Ann; six children, Joan, Frank, Karla, Sandy, Christine, and Joe; 14 grandchildren; three great grandchildren; and many friends locally and around the world. To send flowers to the family of Beverly June Dale, please visit our Heartfelt Sympathies Store.